Women’s snooker will be showcased during the upcoming Betfred World Snooker Championship on Wednesday 1st May 2019 with activities taking place at the Sheffield Winter Garden across from the iconic Crucible Theatre. Previously held as Ladies Day, the newly rebranded Women’s Snooker Day aims to encourage women to participate in snooker at all levels, including the World Women’s Snooker Tour which welcomes players of all ages and abilities to compete at its events. 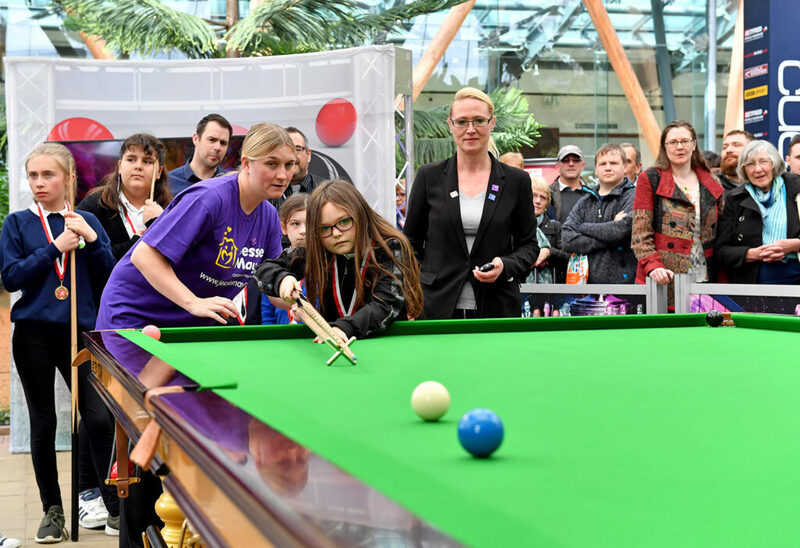 Organised by World Snooker, in partnership with the WPBSA and World Women’s Snooker, the day will see activities staged throughout at the ‘Cue Zone’ with world women’s number 3 and 1st4sport WPBSA Level 2 coach Rebecca Kenna supported by Sarah McManus and Annette Lord. They will be joined by players from the World Women’s Snooker Tour and students from Spire Junior School, encouraging members of the public to pick up a cue and try snooker. 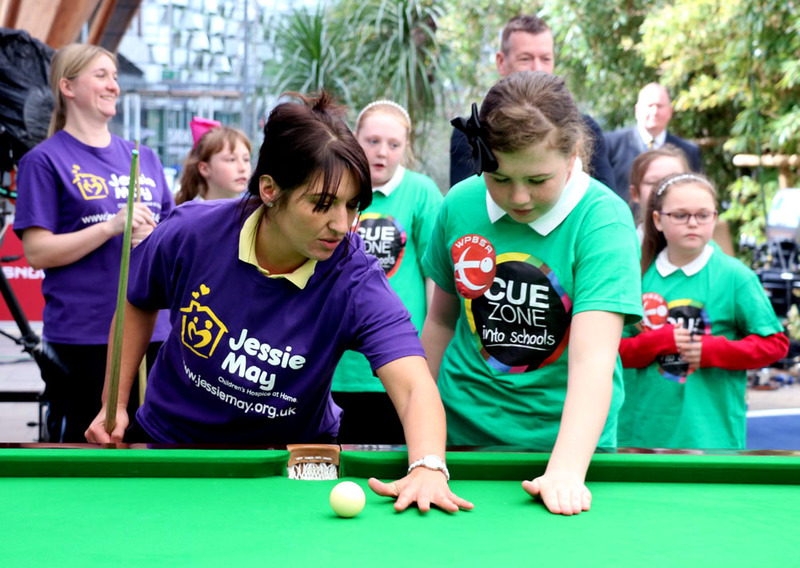 Once again Women’s Snooker Day will form part of the #Cue4All initiative organised by the World Professional Billiards and Snooker Association, which aims to promote the inclusive nature of snooker and billiards. Latvia’s Tatjana Vasiljeva lost 4-1 to Marco Fu today in the opening round of the 2016 Kasperksy Riga Masters. The 32-year-old received a wildcard to the first event of the 2016/17 professional calendar and was handed a tricky draw against this year’s Crucible semi-finalist Marco Fu. The WLBS world number five impressed onlookers however, taking the second frame of the match and only narrowly losing the final two frames, both on the last black. Vasiljeva though was happy with her performance: “I felt strong and not scared. I missed a pink in the 4th frame, maybe I should have played safe instead or trying to play a double. In the next frame I missed a red and it was a frame ball for me. WLBS world number five Tatjana Vasijeva has received a wildcard to the 2016 Kasperksy Riga Masters. Winner of the European Ladies Championship in 2012, 32-year-old Vasiljeva is Latvia’s most successful ladies player and recently reached the semi-finals of the WLBS World Championship in Leeds. She has been drawn to play world number 12 Marco Fu in her last 128 match, which will be held over to the venue stages of the event in Riga which will run from 22-24 June 2016. Her appearance will be the first at the televised stages of a ranking event since Reanne Evans successfully qualified for the 2013 Wuxi Classic. Having previously formed part of snooker’s European Tour series, for the first time the event in Latvia will become a full-ranking event on the World Snooker Tour. The fourth annual Ladies Day will take place in Sheffield at the Winter Garden on the 26th April 2016 during the Betfred World Snooker Championship. The event will also raise money for World Snooker’s official charity, Bluebell Wood Children’s Hospice in Rotherham. Fans are encouraged to wear purple, the colour of Bluebell Wood’s logo, and a selection of cakes will be on sale with money from every sale going to the hospice. Reigning world ladies snooker champion Ng On Yee has qualified to take up a place in the qualifying rounds of this year’s Betfred World Snooker Championship.